Hi there, my name is Kim Taylor and I am the owner and a stylist at Essence Hair, Skin, and Body. We opened our doors on May 2, 2011 with one goal in mind; providing excellent beauty and wellness services to the community in a relaxing and unpretentious environment. 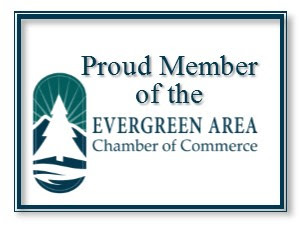 Becoming a part of the Evergreen community has been an incredible experience, and we have truly been blessed. A couple of years ago, my husband and I knew that we had some important decisions to make. While we had experienced success and steady growth at our Hilltop location we felt that it was time for our next step towards solidifying the business. We knew we needed a more visibility, but there was no way we could stomach another buildout if we didn’t own the space. In May of 2015 we found what we were looking for, a single story building in Bergen Park. Better visibility, easy access, great parking, surrounded by open space- PERFECT. Okay, almost perfect. The building needed to be rezoned and completely gutted after being a veterinarian’s office for thirty years. Anyone who knows us knows that we have a tendency to bite off more than we can chew every chance we get. It’s been a blessing and a curse over the years, but hey- we’re still standing, right? VERY long story short, we spent 7 months rezoning and financing the building and another 6 months pouring ourselves into a really challenging renovation. The result? A beautiful, relaxing, unpretentious new location designed to better care for our clients! I believe that our most significant responsibility in life is to be good to each other. This is the true “essence” of this retreat style salon and spa– meeting the beauty and wellness needs of our clients while synchronously going beyond the surface to touch their lives. Sometimes an hour or two away from our hectic lives is all we need to feel rejuvenated and ready to continue giving our best to those we love. The staff at Essence is committed to staying current in education and trends. It is our mission to provide exceptional service with beautiful results. We offer complete head to toe care: hair, nails, skincare, massage, and spray tanning are all provided by trained and talented professionals. The result is an unforgettable experience that will nourish both the body and the soul. Our hair studio offers a wealth of services: beautiful dimensional color, maintenance (gray coverage), customized cutting and styling, conditioning and smoothing treatments, and hair extensions for starters. We have a creative team of stylists that come to work each day eager to surpass expectations. Emily Passaloukas (Walter), who has been with us since the beginning is a beautifully free spirit and a true creative. Mackenzie Morrison is well rounded, consistent, detail oriented, and patient. She is also our in-house hair extension specialist. In September, after working closely with me for the better part of a year, Kelly Wiggins began building her own clientele. Kelly has blossomed into a great stylist- she is quiet and kind, don’t be surprised if she is more interested in learning about you than talking about herself. In October, we welcomed Kristen Sherman to our styling team. A recent transplant from the east coast, Kristen brings over fourteen years of experience with her. She is hard working, fun, and full of energy. Our spa offers a complete menu of skincare services including facials, peels, dermaplaning, microdermabrasion, and more. Lindsey Sloan and Serissa Asta customize every service to accommodate the unique needs of each client. In addition to improving the quality of your skin, we also offer brow shaping, face and full body waxing, brow and lash tinting, and makeup. Our “healing hands” belong to Gigi Worley who has spent years honing her skills in massage therapy. Our most requested types of massage are therapeutic and deep tissue; however, we also offer prenatal, hot stone, and lymphatic massage to help strengthen the immune system. Our sole manicurist, Penny Sutter has years of experience in manicures, pedicures, and acrylic nails. I am personally very proud of our team. All of these ladies are unbelievably talented and amazing to work with. Specialty facial that includes a lactic acid peel for deeper results without the downtime usually associated with peels. Great for aging, hyper-pigmented, normal and combination skin. Relax and unwind with the power of cranberry to help smooth and soften skin. This treatment incorporates the warmth and comfort of hot stones to aid in relaxing tight muscles for a more effective treatment. Ask about pairing a brown sugar scrub with your cranberry massage! Soothe and invigorate dry winter scalp. Increase blood circulation to promote healthy cell turnover and reduce flaky scalp and itching. For a full menu of our services please visit our website: www.essencehairandbodyretreat.com. To receive emails about our seasonal and special offerings, contact us through the website or call the salon- we’re happy to add you to our mailing list. Finally, for those of you who are already loyal clients, thank you for your support- it helped strengthen my resolve through a challenging yet very rewarding 2016. And as a note to future clients; walk-ins and same day appointments are always welcome upon availability- and we ALWAYS try to accommodate. So, if you haven’t been in yet, call or stop by, we look forward to meeting you! Hair Extensions – Friend or Foe? Let’s face it, we all know someone who knows someone who’s had a negative experience with hair extensions. Damaged hair, a painful and lengthy application process, a ridiculously high cost; the list goes on. Most of the bad rap that hair extensions receive is due to people with little or no experience trying to make a “quick buck” by offering a service they are not qualified to provide. Unfortunately, this deters many women who could be looking and feeling amazing in longer, thicker, beautiful hair [extensions]. The first and most important step on the path to great hair extensions is finding an experienced stylist who knows what they are doing. I have been applying hair extensions for the better part of a decade. My goal is to arm you with enough information to decide if you are truly interested in extensions and help you become comfortable enough to ask the right questions. There are four basic types of hair extensions and each type has slight variations available. The most basic are Weave-in hair extensions. The back and sides of your hair are braided into small rows and long wefts of hair are sewn onto the braids (YIKES- these are not for the tender headed!) They are very tight at first, but they do loosen and are usually worn for 3 -4 weeks. Weave-in hair extensions take about two hours to put in and are ideal for creating dramatic length for special occasions. The second type of extension is a Tape-in extension. These are small wefts of hair (about an inch wide) that are sticky on one side. Two wefts are sandwiched together with a small amount of your hair in between them. Tape-in extensions take about two hours to apply and last 1-2 months. Next, are Clamp-in extensions. These are small bundles of hair that have been bonded together at the tip. They are paired with a small amount of your own hair and clamped in with a small metal bead and pliers. They take anywhere from 1.5-3 hours to apply and because they are not actually bonded to your hair the metal bead starts to slip after several weeks. They usually need to be reapplied every 4-6 weeks. The first and most obvious reason to get hair extensions is length. Good quality hair extensions come in lengths measuring 10 to 22 inches- you can have hair so long you can sit on it! Another great benefit of hair extensions is thickness and volume. One of my favorite reasons to use extensions is to fill in thin spots in my client’s hair or give them a little “oomph” if their hair is getting thin. Have you ever seen a dramatic asymmetrical cut that you love but your hair isn’t quite long enough to pull it off? Applying extensions to one side provides the drama you want now- without the painfully long growing out process. Think about all the fun and funky colors that are popular now; you can achieve those extreme colors without fading (EVER!) and you don’t have to damage your hair with bleach or color. On that same note, non-chemical highlighting or ombre effects are a great option with extensions. You can pick the lightest blonde without worries of chemical breakage, fading, or brassiness. There really are countless ways to use extensions to achieve your desired look! Many celebrities spend thousands of dollars a month on their hair. Unless you want your extensions reapplied weekly, you will not spend anywhere near that amount. The key factors that determine the cost of each extension service are desired length, thickness, and the effect that we are working to achieve. Unless you are only going to wear extensions for a few days it is imperative that high quality, 100% human hair is used. Human hair extensions are not cheap, but they can be washed, dried, and styled the same way as your own hair. Lesser quality hair may have been processed carelessly, poorly sorted and bundled, or blended with synthetics or animal hair, yielding a less expensive product that doesn’t hold up to every day maintenance and wear. Worse yet, low quality hair can get matted and tangled into your own hair creating a mess of damage that will result in having your own awful experience to share with all of your friends. The cost of hair extensions is derived from a combination of the cost of the hair and the time it takes to apply the hair and shape it into the desired result. A very dramatic transformation will generally require more hair and time, thus being more expensive. Adding a bit of thickness or a splash of color takes less hair and time and is quite affordable. Consider what you spend regularly on Starbucks or lunches out; wouldn’t you rather have long thick beautiful hair? At Essence, we offer only high quality, 100% human hair extensions. All of our hair is purchased through reputable vendors that guarantee the quality of their product. This doesn’t mean you don’t have to care for them- extensions do require home maintenance if you want them to last and look good as long as they should. Extension Consultations are always complimentary at Essence. In your consultation we discuss which type of extensions make the most sense for your type of hair, desired result, and budget. If you decide you want to move forward, we determine the length, color, and amount of hair to order. At that time you will be given a total for the cost of your hair. Once paid for, we place the order and set up an appointment for you to come in and have your extensions put in. The cost of having them put in is due upon completion of your appointment. It really is that simple- and for many clients it is a complete game changer. If you would you like to find out how extensions could work for you personally, call the salon and set up a consultation with Mackenzie. I look forward to meeting you! I believe I speak for just about everyone when I say that we are all ready to feel the warmth of the summer sun! Winter took her sweet time wrapping up and spring barely even popped in on us. Alas, we are headed for warmer days, and I am ecstatic! The lightheartedness of summer takes its effect in many ways. In the salon, requests for lighter hair increase drastically when the weather shifts; making this a perfect time to address some of the questions we hear most frequently when discussing going blonde. One of the most important things I want to address is compromised hair. This is hair that has been over processed; whether it is controlled over processing to get to the desired lightness or hair that has been taken from dark to light and back again several times. Neither scenario is unusual; people want what they want and change their minds regularly. As stylists, we adapt and do our best to meet the challenge. In walks Olaplex, a product that every type of color client can benefit from, but particularly blondes. Hair bonds are broken during thermal, mechanical and chemical services. The more chemically processed hair becomes, the more susceptible it is to every other type of damage. Olaplex is a product that is added to bleach or color when mixing. It reconnects broken disulfide sulfur bonds in the hair during processing. This is an amazing product that has allowed stylists to push further in terms of lightening the hair, but it has also provided us with a powerful tool for color correction and rebuilding hair that is in the most desperate condition. In twenty years of hair styling, I have never seen a reparative product of this caliber. It can also be used in the salon as a restructuring treatment as well as a take home product that helps to ensure the longevity of the service between appointments. If you want to know more about Olaplex ask your stylist, it is worth its weight in gold. This is a debate I hear a lot in the salon. Clients are concerned that their hair will be more damaged by bleach than by high lift color. First things first- lighter blondes (think Taylor Swift, Gwyneth Paltrow, and Jennifer Aniston) could not be achieved without bleach. Most likely they have a combination of bleach, high lift color, and darker blonde in their hair. The fundamental difference between bleach and color is that bleach lifts pigment (natural AND artificial hair color) out of the hair but it does not add anything back in. Color is designed to lift natural pigment (color cannot break through artificial color) from the hair while simultaneously depositing artificial color into the hair. A common misconception is that high lift color isn’t as powerful as bleach and therefore must not be as damaging as bleach. The simple truth is that bleach’s strength is determined by the volume of developer used, while high lift blonde colors can only lift as much as they do because they are loaded with extra ammonia and a higher volume of peroxide. This is not to say that high lift blondes are worse than bleach. They are different animals, but they are comparable in terms of chemical and strength. The bottom line here is that your stylist’s intention is to please you. A good stylist will choose the least damaging path to the desired result. A toner’s job is to add tonal value to bleached hair (highlights or full head). Remember, bleach lifts color out of the hair, without adding anything back in. A toner can take a bleached blonde from raw to refined in twenty minutes or less. Not all bleach blondes require a toner; often times bleached hair looks beautiful in its raw form. This is highly dependent on where the bleaching process starts, for example how dark the beginning color is, how damaged the hair is, etc. There are also shampoos and conditioners on the market designed to be used as weekly toners at home. They are usually purple or blue and are great for blondes who tend to evolve to more brassy/ golden tones between appointments. This happens a lot to swimmers and people who have well water. At Essence, we use and recommend a really nice purple shampoo called “Violights” by Framesi. Base bumping is a quick color process that lightens the base color around the hairline and in the crown area just enough to subdue the harsh difference between the natural hair color and the lightness of the highlights. It is great for clients who like their hair to be very blonde and heavily highlighted but do not want to take the next step into being a solid blonde. It takes the edge off of their base color which gives an overall softer, lighter appearance. Base bumping can be done on the same day as a highlight service, right after the highlights are rinsed. Base bumps can also be done in between highlight appointments to keep color looking fresh. Finally, blonde hair requires maintenance and upkeep. Most blondes need to be maintained every 5-8 weeks depending on how light the hair is and how fast it grows. In addition to regular salon visits, blonde hair needs to be cared for at home. Gentle shampoos, hydrating conditioners, and repairing masks are a good place to start. Additionally, thermal protectants, argan or bassu oil, and protein spray will go a long way in protecting the integrity of the hair between appointments. There is no shortage of products on the market that claim to protect and feed the hair. We are a bit picky and recommend a selection of tried and true products by Olaplex, Surface, Moroccan oil, and Kevin Murphy. At Essence consultations are always complimentary, and our staff is happy to help you decide which product is right for your hair. You’re swimming, you’re hiking, you’re camping; you’re enjoying every minute of your summer. Awesome! Unfortunately your hair is paying the price. Whether the culprit was chlorine, exposure to the elements, sitting by a nice fire roasting marshmallows, or a host of other summer activities chances are it’s time for a tune up. Follow this three step process to give your summer hair a good dose of TLC. Chelate– every now and then it is really good for your hair to be deep cleansed. Treating the hair with a mild but effective chelating shampoo removes minerals that build up on the hair from swimming pools, well water, or old pipes, as well as buildup from styling products. We use and recommend two really great chelating shampoos: Maxi Wash by Kevin Murphy and Purify by Surface. Both are effective as a deep treatment yet gentle enough to use weekly for maintenance. Condition- If you use a blow drier or any other heated styling tool it is a good idea to deep condition your hair regularly (every other week)- but it is super important to deep condition at the end of a season full of outdoor exposure to the elements. There are many types of conditioning treatments available; some concentrate on adding moisture back into the hair while others beef up and repair protein that may be damaged or lacking in the hair. Both are beneficial and your stylist can assess your hair and tell you what you need. At Essence we use and recommend Protein and hydrating treatments by Surface, Moroccan Oil, and Kevin Murphy. Any of our stylists are happy to help you choose the one that will work best for you. Maintain- Once you’ve addressed the issues brought on by summer, maintaining your shiny, healthy locks will be much easier. Think thermal protectant, argan or bassu oil, and protein spray. There’s no shortage of products on the market that claim to protect and feed the hair. We are a bit picky and recommend a few tried and true products from Surface, Moroccan oil, and Kevin Murphy. Again, our stylists are happy to help you choose the right product for your hair. These three steps can be accomplished at home or in the salon. I don’t know many people who would object to having their hair washed by someone else, so why not make an appointment for a deep cleansing and conditioning at Essence? The cost is $50 (a bit higher for excessively long hair) for a Max Repair Treatment by Surface. The treatment includes a deep cleanse, followed by a cocktail of protein, oil, and a deep penetrating mask that infuses nutrients and moisture back into the hair. This treatment is finalized with a blow dry style. Add a haircut for just $20 more! In addition to deep conditioners and protein treatments, your hair could use some simple, common sense daily care. The most basic thing you can do is brush gently– and use the right brush for the job. A great brush to use right out of the shower on wet hair is the “Wet Brush” or the “Feel Good Brush” by Spornette. These brushes are paddle style brushes with a padded base and soft to medium bristles. This type of brush feels great and helps to prevent breakage while detangling. While these brushes are fine for use on dry hair also, a great brush to use nightly on dry hair is a boar bristle brush. Boar Bristles help to distribute the natural oils from your scalp to the mid shaft and ends of your hair. As much as we all hate it when our scalp looks “greasy”, natural oils are great for our hair when it has a chance to absorb them. Brush with boar bristle brush at night to increase shine and elasticity and then sleep on it overnight before washing. We like the “Shine Brush” by Spornette. When you are styling, start your “rough” blow dry with your fingers or a vent brush (a brush designed to let air to flow through the brush). This allows you to control the direction of the hair while getting maximum airflow. Once the bulk of moisture is out of the hair, you can switch to a round brush. When picking a round brush, look for a quality brush that has a nice solid construction; hair can easily get caught up in cracks and crevices causing breakage. The heat should be held in the ring (body) of the brush while the bristles should be heat resistant. Ceramic brush heads heat evenly, protecting your hair from hot spots that can cause singeing and fraying. If you are like me and find it difficult to use a round brush on your own hair, you can dry your hair completely and go straight to using heated styling tools. Use a thermal protecting spray and remember that ceramic and titanium plates and barrels are the safest way to deliver heat to the hair. We use and recommend Moroccan Oil Thermal Protectant and Kevin Murphy Damage Control. Spoiler Alert! Keep an eye out because this fall we will be bringing in some really great styling irons, and blow driers! As a final note, I encourage you to ask your stylist to take a good hard look at your hair and your lifestyle and help you develop a styling program that works for you specifically. The right products and tools can make all the difference in the quality of your hair year round. 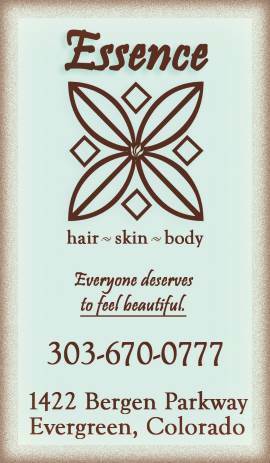 Request a Hair Artistry Appointment Today!